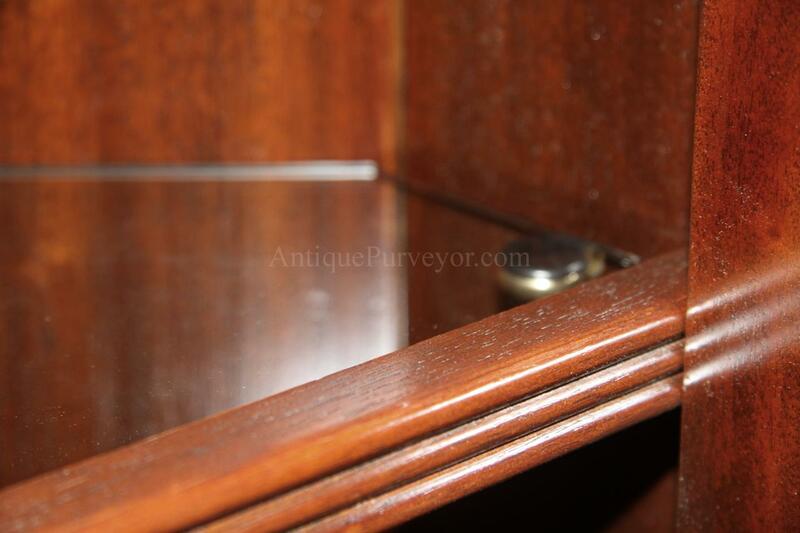 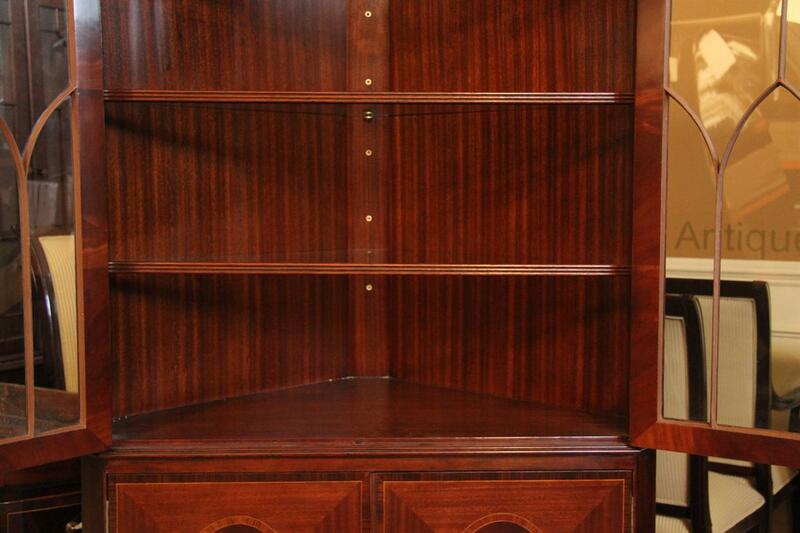 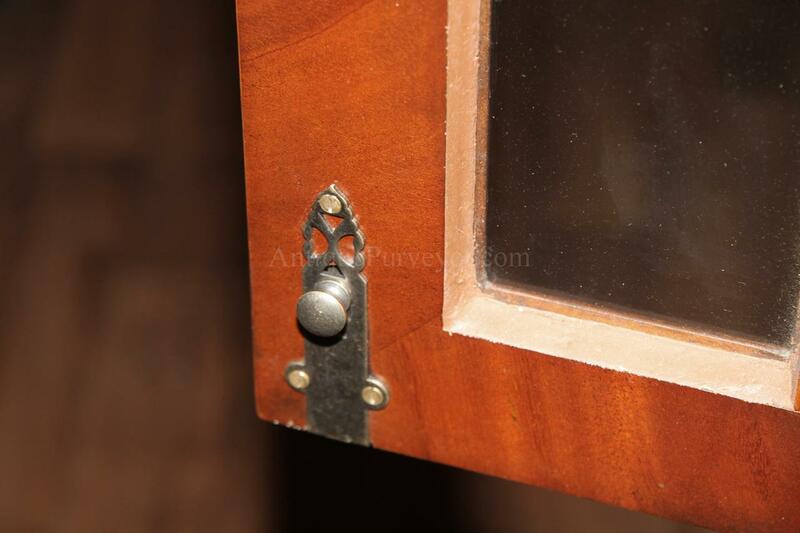 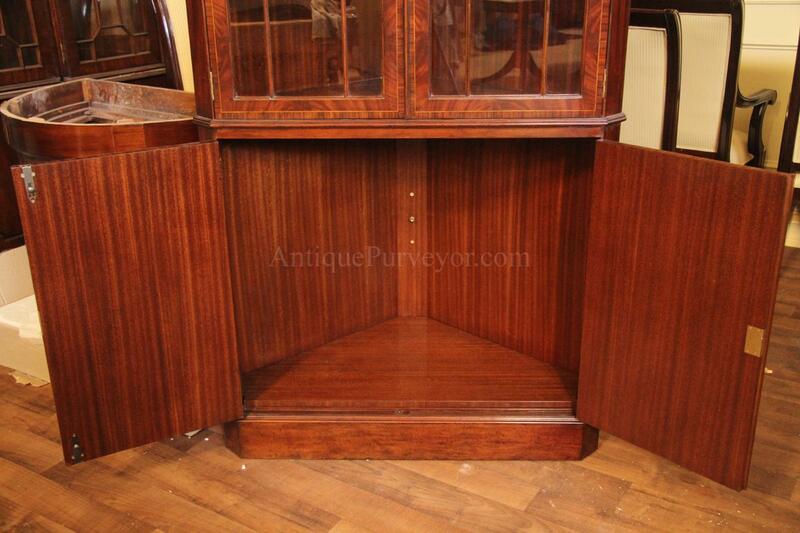 Description: High end corner cabinet or corner curio. 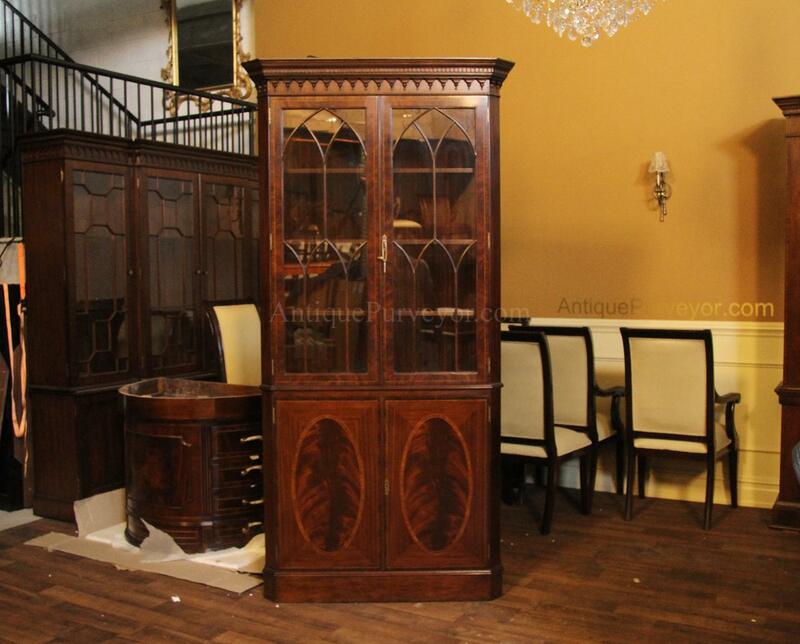 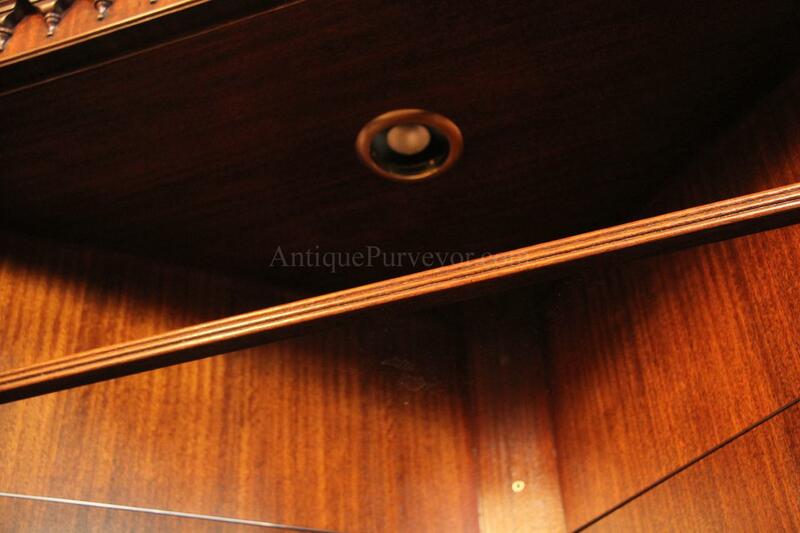 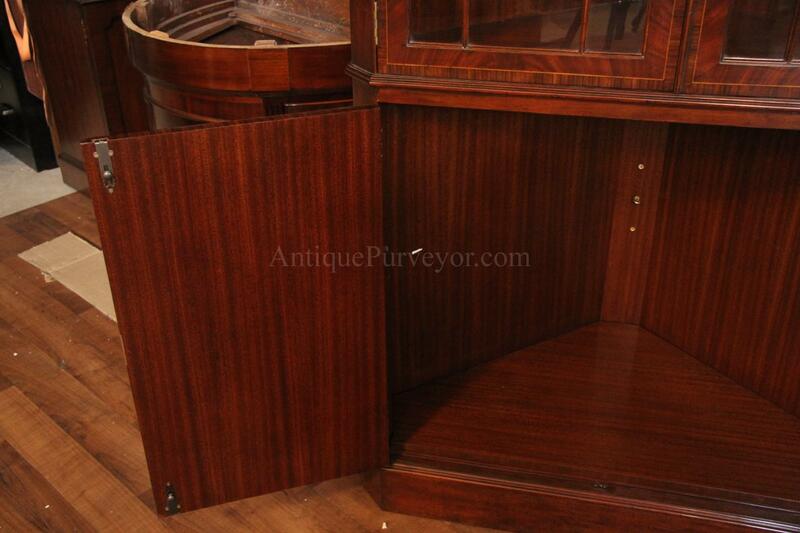 A traditional corner hutch for the formal dining room. 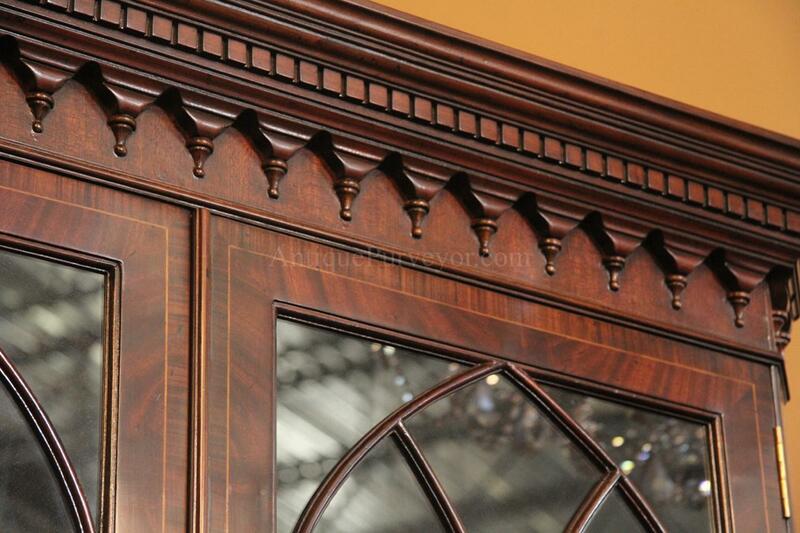 Flame mahogany door panels and trim. 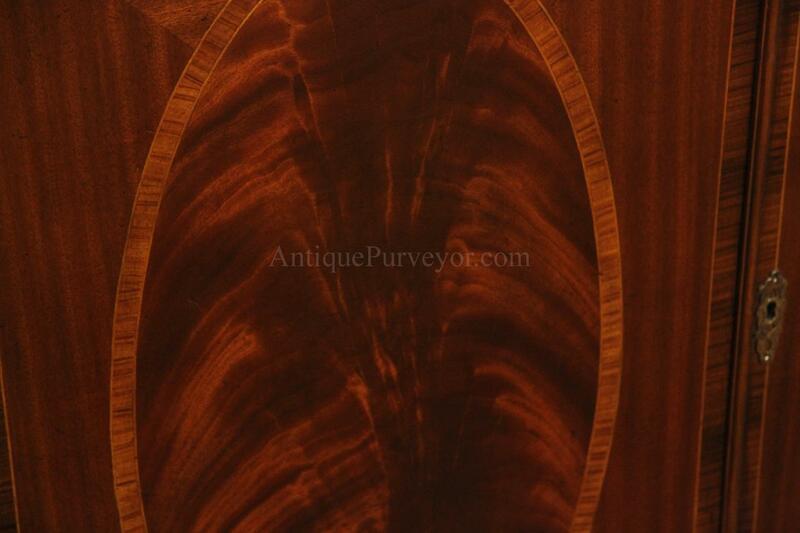 Oval inlays on front door panels. 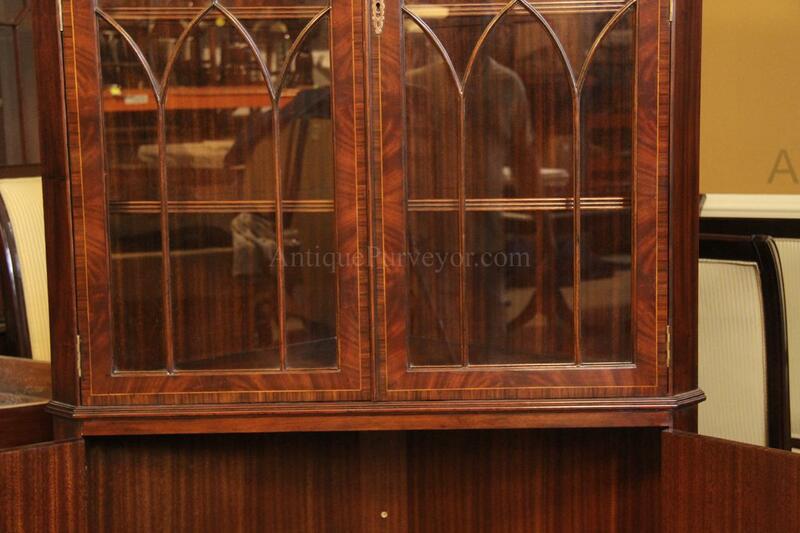 This cabinet has unusual and well thought out glass shelves which you may never see again. 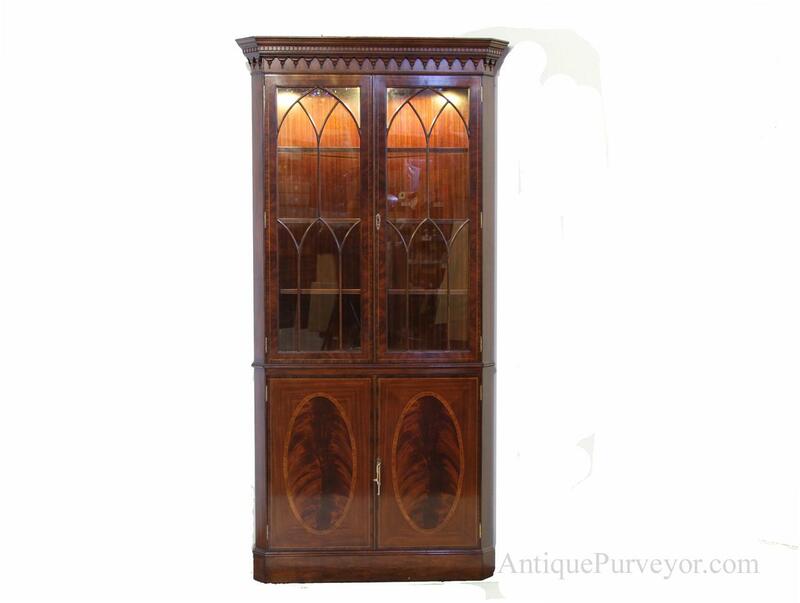 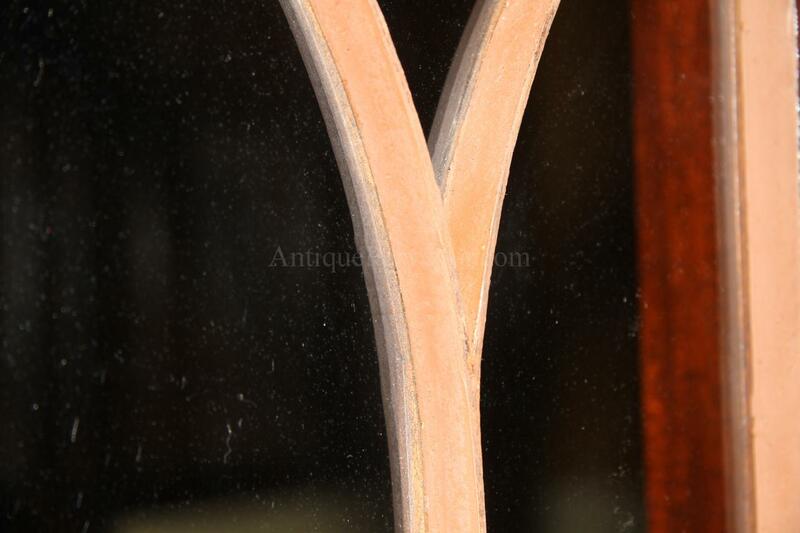 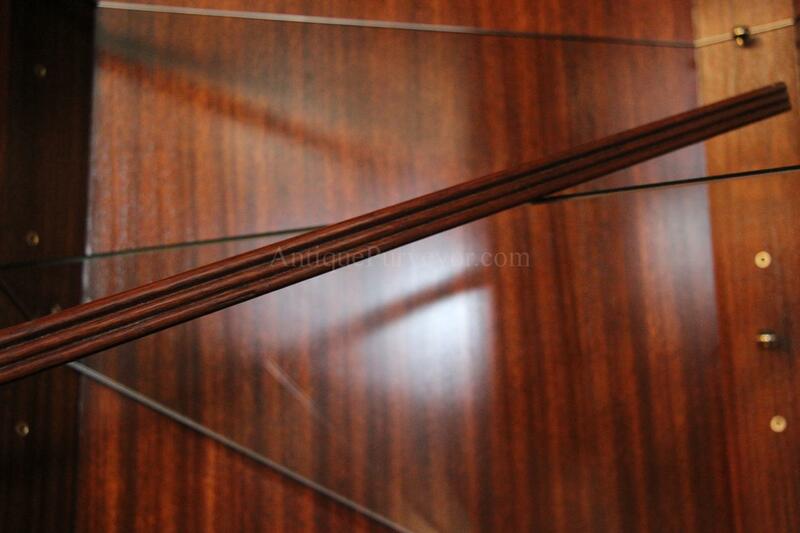 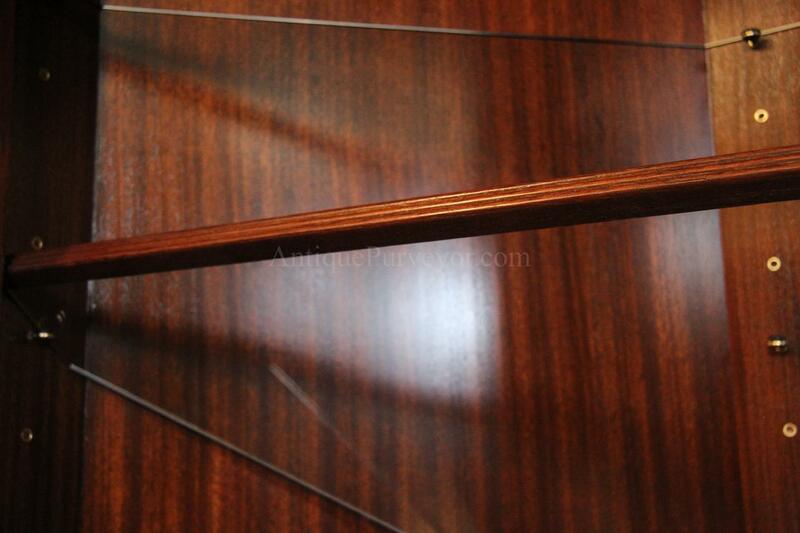 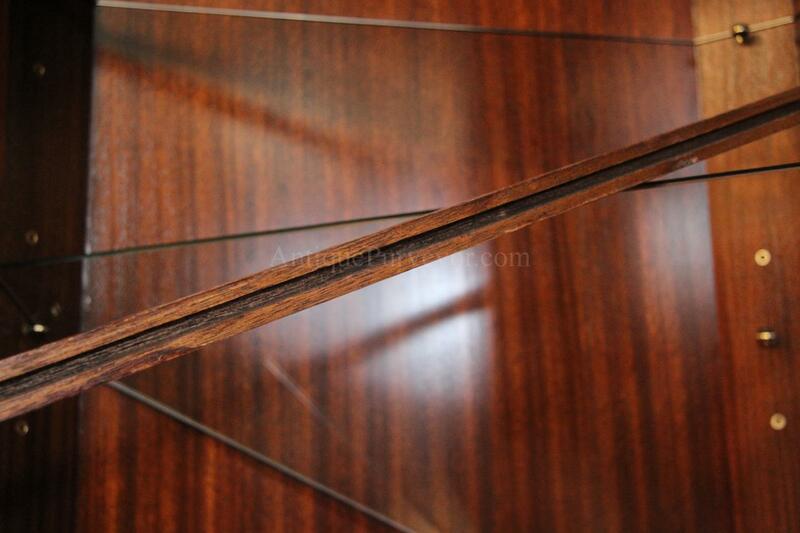 The glass shelves have a routered mahogany reeded edge so when you look through the cabinet you see a clean wood edge, rather than looking through the glass edge which is green and unsightly. 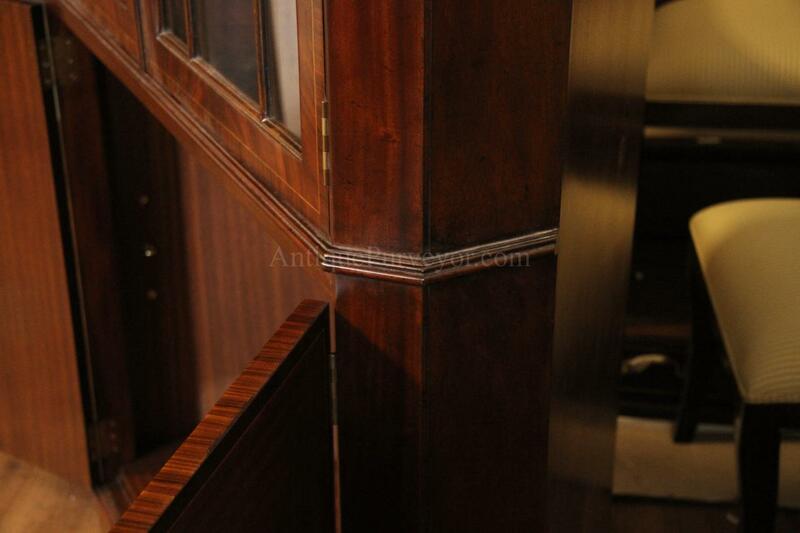 Very tight and well made cabinet from an English cabinet maker who has recently moved his plant to the Philippines. 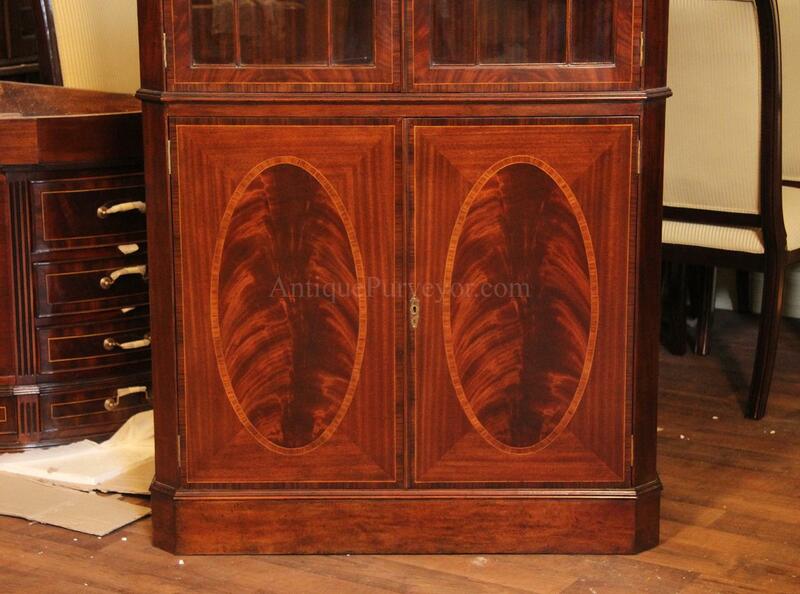 This is an over the top quality cabinet which would sell for much more money in a fancy showroom. 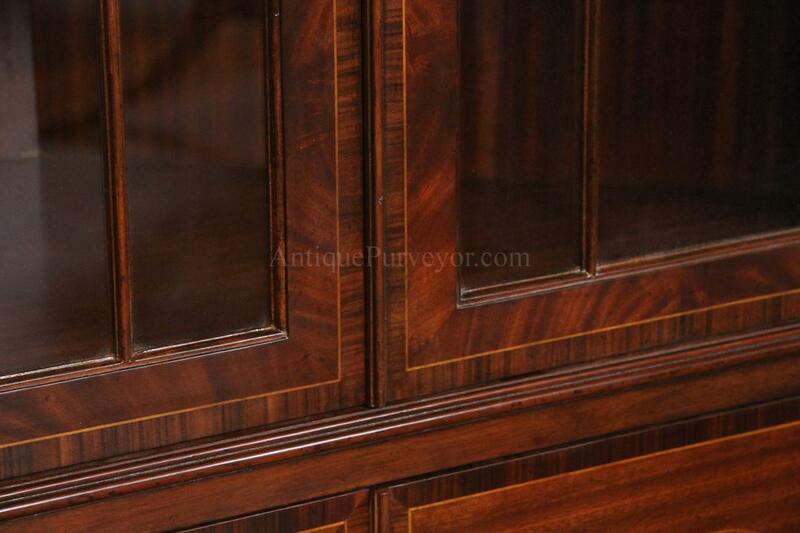 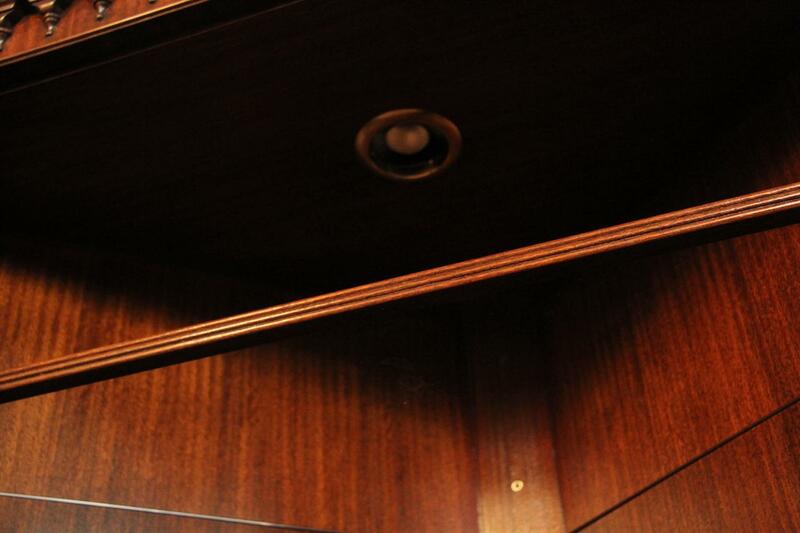 This is an exclusive cabinet which you will not find in the general furniture market. . 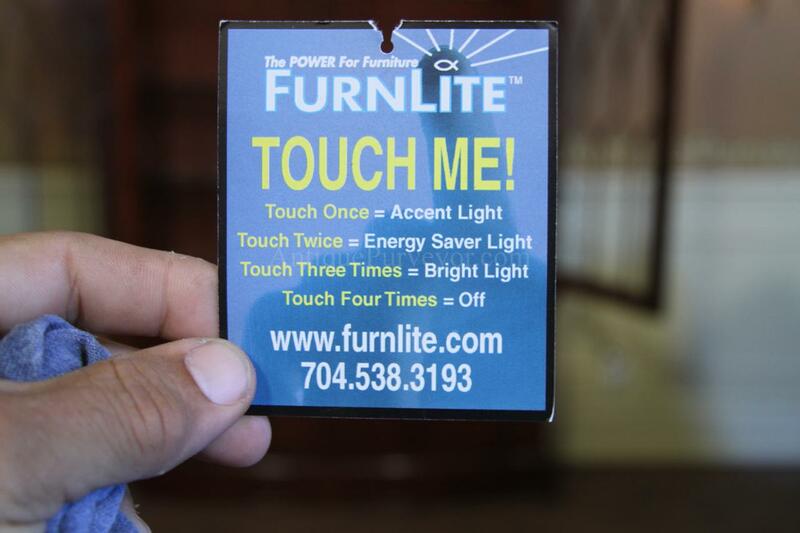 The top right hinge has a touch light switch with 4 settings; off, accent, energy saver and full light. 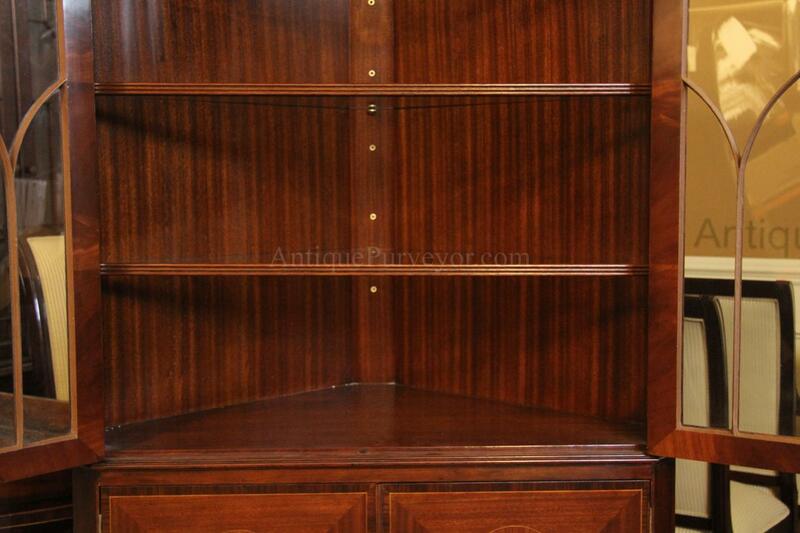 Fully adjustable shelves on top and bottom with high end brass inserts and pegs with rubber feet. 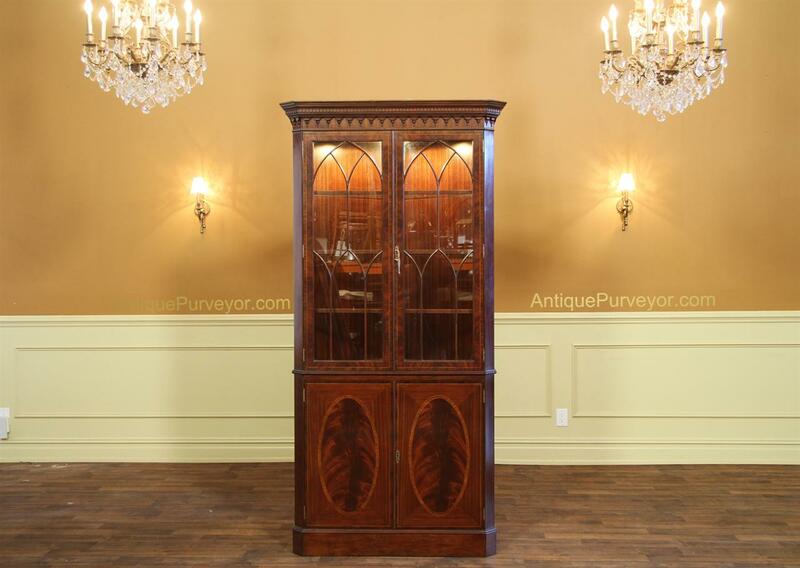 It is a great all around Hellplewhite or antique style corner cabinet for any higher end traditional home. 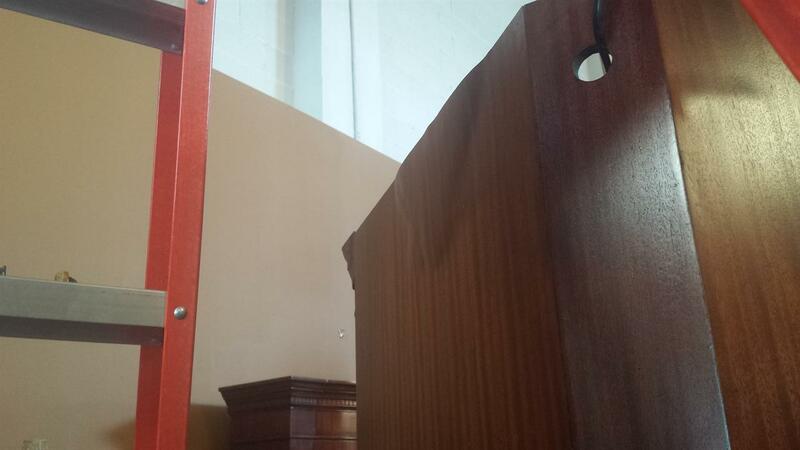 Clearance needed from back corner of room to side wall, 27.5"